…But What Score do I Need? Why is it so hard to get a straight answer? 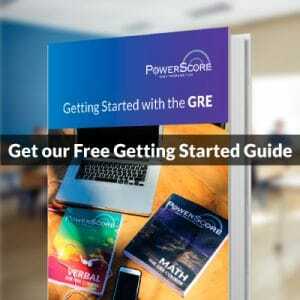 The first question many students have when they begin to prepare for the GRE is what score they need to get. The first answers they likely receive—”it depends,” “call the school,” “there is no required score”—do little to assuage doubts or help students prepare effectively for the exam. In fact, schools are far more forthcoming about median GPA scores for admitted applicants than they are about GRE scores. One need look no further than US News’ Graduate School Rankings (subscription required) to discover that the median GRE score for the majority of programs is N/A. There are exceptions. GRE information is widely available and published for Education (Verbal and Quant) and Engineering programs (Quant only), but if your interest falls outside these and a couple other specialties, transparency becomes the exception rather than the norm. What’s a student to do? You prepare and prepare, get a score, and have little idea whether it’s great, good enough, or a liability. You could look at the percentiles that correspond to your Verbal, Quant, and Analytical Writing scores, but these percentiles are for all test-takers by intended field of study, not percentiles for admitted applicants. For an analogous example, while the average score for all LSAT takers could be around 151, the median score of admitted applicants at Yale Law School is 173; the median LSAT score at Yale Law is a 99th percentile score! Of course, a significant difference between grad school admissions and medical, law, or business school admissions is that the graduate school admissions process tends to be more “holistic;” in other words, most graduate programs (with some exceptions) tend to emphasize assessments of applications in their entirety, with no cut-off scores. However, as the GRE gains more prominence in business and law school admissions, students rightly will want to know how their GRE score measures up against comparable GMAT or LSAT scores, which both have greater weight in their respective admissions processes and for which there is far greater transparency in released scores. For instance, the vast majority of business schools release information about the GMAT scores of admitted/matriculated students, but very few also release similar information about GRE scores, even though they all accept the GRE and claim it is viewed no more or less favorably than the GMAT. Clearly, since the data above are merely from a cross-section of both schools and specific programs within these universities, you cannot use this information to make hard and fast decisions about whether or not you qualify for a specific program. However, based on how the programs you are interested in compare to certain programs above, you might get a clearer picture of how your application likely stacks up against your peers. For example, if you wish to attend NYU for a masters in Public Policy, you might note that this top ten program is likely similar to USC’s Price program, which gives GRE information as a composite median score of 313 (Verbal and Quant combined). While this will not answer all your questions (such as, what’s the Verbal and Quant breakdown? ), it can give you a rough estimate of how you compare to similar students. If you are an applicant to UMass Amherst’s MBA program, you could start by noting that the median GMAT score for admitted applicants is 639. On the GMAT scale, this places the median around the 69th percentile. On the GRE scale, a 69th percentile Verbal score is around 155 and a 69th percentile Quant score is around 158. To be conservative and cautious, if submitting a GRE score, you might shoot for a minimum 75th percentile score in each GRE Verbal and Quant. If you are an applicant to Northwestern Law School, the reported 25th to 75th percentile LSAT score range for admitted applicants is 163-170. Since you are submitting an application with a GRE score instead of an LSAT score, to be safe you might want to shoot for scores comparable to the 75th percentile LSAT score of admitted applicants. A 170 on the LSAT places students in the 97th percentile. On the GRE scale, a 97th percentile Verbal score is 166 and a 97th percentile Quant core is 170, a perfect score. These data may raise more questions than they answer for you, but we hope that equipped with more facts you will be able to make more informed decisions or at least ask university admissions officers the right questions. 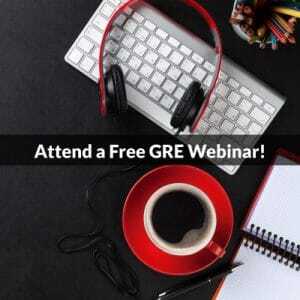 For all GRE students, an excellent initial step towards success is to reach out to programs you’re interested in to ascertain what role the GRE plays in admissions. As you have likely observed, the GRE can range from a procedural afterthought to a crucial metric depending on the program. Please join us in our GRE forums to ask questions and receive expert answers to all your questions. Don’t forget to attempt the Question of the Week!